As we are based in the centre of London, surrounded by vast numbers of offices, corporate examinations have become an integral part of our services provided here at Infocus Opticians. For this reason that we offer special corporate rates for companies to meet their health and safety requirements regarding display screen equipment. This safety regulation was set up in 2007 under the European Health and Safety Law stating ‘An employer is obliged to pay for an eye examination for those individuals who use VDU’s (visual display units) and for a pair of basic glasses if they are specifically and exclusively for VDU use. Only a small proportion of VDU users receiving a full eye examination will require correction specifically for VDU use. If the glasses are used for any other purpose, the employer is not obliged to bear the cost. 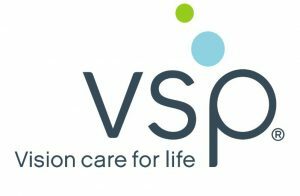 We also accept Edenred eyecare vouchers and are enrolled in the new VSP scheme , which entitles employees with the same benefits as mentioned above.